James (Jim) Homer Savage Jr., of White House, TN, passed away September 23, 2018 at age 82. He was a native of Elizabethtown, Kentucky and, at an early age, he moved with his family to Davidson County, Tennessee where he graduated from East High School. 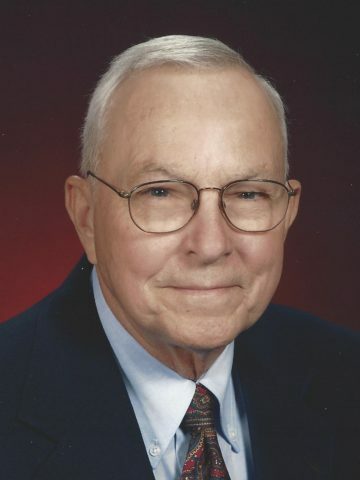 As a young man, he worked at McGinnis Pharmacy and decided to pursue a career in Pharmacy, and completed a pre-pharmacy program at George Peabody College and then graduated from the University of Tennessee at Memphis School of Pharmacy in 1959. After graduation, he returned to work at McGinnis Pharmacy where he stayed until 1964, when he left to practice at Lynn Drugs in Gallatin. In August, 1968, desiring to own his own business, he purchased McCurdy Drug Store, the only drug store in White House, he worked hard and his new business soon became highly successful and a focal point for community activities. After thirty years of admirable service to his many White House Pharmacy customers, he sold the business in 1998, to Fred's where he still worked as a Pharmacist. In the finest traditions of the ”Volunteer State," Jim Savage has generously contributed his time and leadership to several community activities. In 1971, he served as a leader in the important effort to incorporate White House; and he has also served with distinction as Chairman and as a member of the White House Municipal Planning Commission, and an active member of his church. James Savage, Jr. was a loving husband of Willa Dean “Willie” Savage, who passed in 2008, and devoted father of Mark (Mary) Savage and Mindy (John Childress) and the proud grandfather of his three grandchildren, Zak, Kayla, and Megan; his twin sister, Carolyn Yealy. He was preceded in death by his brother Jack Savage and sister Jane Talbert. Visitation will be at Cole & Garrett Funeral Home, White House Wednesday from 12-8pm, and Thursday from 10-11:30 am. Funeral service will be Thursday at 12pm at Temple Baptist Church, 117 Marlin Rd., White House, with interment to follow at White House Memorial Gardens. Family and friends will serve as active pallbearers. Honorary pallbearer will be Billy Hobbs. In lieu of flowers, donations may be made to the building fund at Temple Baptist Church. Mandy and Mark your dad was one of a kind. I loved your whole family. A true and wonderful friend to our family for many years. He was the best and will be missed! Our dear friend, be with God. You were loved and respected by Shirley and I and we will miss you. While distance may be a physical barrier, be assured our hearts are united with your family and other friends as we mourn your passing and celebrate your life . We look forward to the day of His choosing when we will see you again Jim. Our prayer is that all will be granted His peace. Jim was such a kind and caring man. He was so good to our family. He was a wonderful and loving man. Rest in peace, dear friend. Loved working for Jim and Willa Dean, he was a kind man and very giving! Jim will be missed! Jim was a great guy. I always enjoyed talking to him about cars. He cared so much about the City of White House and his role on the Planning Commission. He will be missed. Mark and Mindy (and families) – you are in our thoughts and prayers; your dad was truly one-of-a-kind. He always had a kind word, a quick smile, and was so helpful to our family as our pharmacist when we moved to White House. Mark and Mindy, Your dad was both our pharmacist and our friend. One fond memory we have includes both your dad and mom. When we did the Living Lord’s Supper at Tri-County, your parents volunteered to prepare the table for each performance. They bought pewter plates and cups to use and provided every thing else that was needed. Then, they made a tape telling us what it meant to them and thanking us for letting them do it! They both have left a legacy of love and caring for others. Mark and Mindy, I am so sorry for your loss. You and your families are in our thoughts and prayers. So sad. I knew Jim the whole time growing up, as customers. He was wonderful ever time we saw him. If he could help, he did. I cut grass for him as a teen and always enjoyed seeing him. To this day, whenever I see a Goldwing with a couple riding it, I’m taken back to when I’d see the Savage’s out for a ride. Mindy and Mark, he touched so many through his service. I know you are rightly proud. God bless, Jim. I miss my dear friend! Thank you for being a part of my life Jim! You and Willie are there! I am so sorry to hear this sad news. I knew Jim for a lot of years and worked with him in conjunction with the chamber of commerce. He was always pleasant, respectful, helpful, and yes, humorous. Bless you, Jim, on your promotion to Glory. I will never forget Willie and Jim, we had a fun time working together at that store. He was a very smart person and i thank him for the opportunity he gave me. It saddens me to know he is gone. It seems lime just yesterday we all were together. His family r in my prayers. Mindy and Mark, your parents have a special place in my heart because they gave me my first job as a teenager at the pharmacy, I remember that he loved his work, he laughed a lot, he enjoyed talking to the customers, and he was always kind to me. My thoughts and prayers are with you. Have known Jimmy since East High School days when we were in the band together. He worked at McGinnis Drug Store for several years which led him to become a pharmacist and having his own drugstore. He married a fine lady and they were active in their community. They will be missed by their children, grandcihildren, and those who knew him. My thoughts and prayers are with his family. God Bless! Mr. Savage was a wonderful man! He will be missed. Mark and Mindy you and your family are in my thoughts and prayers. Mindy and Mark so sorry to just hear about your dad. I loved him and Mrs Willie. They were Mr and Mrs White House.. He was such a wonderful Cumberland Bank Director always supporting the employees. I loved our talks about our families. May God give all strength at this time of loss. Love to all of you. Mark and Mindy, Our hearts are heavy for you and your families. Your Dad was so good to Catherine and Lee and we were and are so grateful for that. Praying for your peace and comfort. Mark and Mindy, I just this minute heard about your dad. I’m an so sorry. I have great memories of your mother and dad, they always made me feel welcome in there home when we were growing up. I know he will be missed more than words can say. All my prayers for you and your families.